God has provided us with everything that we need for abundant life. As a token of our appreciation, we should offer a gift back. As Jesus taught on the mount, “give and it will be given to you. A good measure, pressed down, shaken together, running over, will be put into your lap; for the measure you give will be the measure you receive (Luke 6:38).” We give to the church as the embodiment of our Lord here on earth, to support its good works. Giving is a form of spiritual discipline—akin to prayer, church attendance, and doing charitable works—and helps you to grow in your faith. How are my financial contributions put to use by the church? The church budget–a public document–describes how funds donated to the church are used. The major expenses are: staff salaries and benefits (primarily the pastor, administrative support, custodian, and music director); upkeep of the church building (utilities, insurance, and maintenance); and the ministries of the church (such as our local missions, education, small groups, service projects, worship opportunities, etc.). If you’re interested in seeing our church’s budget document, please ask Deanna Helland, Church Accountant. The document is a public document. What happens to the money that is collected in church on Sundays? The offerings are taken from the altar by two counters who immediately tally the donations. They record the contributions and immediately deposit the funds in the bank. These volunteer counters are recruited and trained by the Finance Ministry Team and serve on a rotating basis. Who knows how much I give to the church? Your giving is a private matter of conscience between you and God. At First United Methodist Church of Gilbert, the Financial Secretary has knowledge of each individual’s annual giving, in order to record these contributions for tax purposes. On an “as needed basis” the Senior Pastor and Church Accountant has access to this information. You will be provided a quarterly record of your donations, which you can use when preparing your taxes. Since our volunteer counters serve on a rotating basis, they only see your donation amount on a few Sundays out of the year. Your pledge is the amount of money you promise to donate to the church during the upcoming year. 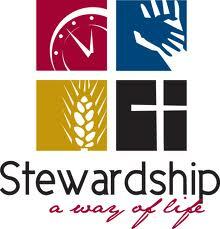 Each fall, we run a stewardship campaign which culminates in the collection of financial pledges. It is a purely voluntary commitment and you are free to change it as circumstances dictate. The Finance Committee is provided with an aggregate total of pledges by the Financial Secretary in order to facilitate the budget planning process. How do I go about making a pledge? Pledge cards are available in the church office at all times. Simply complete the pledge card, enclose it in an envelope addressed to the Financial Secretary, and either drop it in the Sunday collection plate or send it in to the Church office. I want to make a pledge this year, but am unsure of the right amount. I’d like to talk further with someone. Who can I contact? Contact one of the pastors. They can help you consider several dimensions of pledging that will be helpful in your decision. Does it matter if I make contributions weekly, monthly, or quarterly? Not really–whatever works best for your household budget. We encourage you to “pay God first” as part of your spiritual discipline. As a pragmatic matter, receiving your donations at the beginning of the month, or quarter, helps the church maintain a positive cash flow, as our bills come due on an ongoing basis. Why do we use pre-printed envelopes for regular giving? You may notice that many members give their offerings in pre-printed envelopes. These envelopes are numbered so that we can keep records more accurately and to save you time from having to write in your name each week. It allows for greater confidentiality as well, since there is only a number on each envelope. If you would like a set of envelopes, please contact the Financial Secretary. Can I give to First United Methodist Church of Gilbert directly through my bank? Yes, we have entered the digital age with On-Line Giving. With this service, your contributions to First United Methodist Church of Gilbert can be automatically deducted from your bank account on a specific day of the month (i.e. the 1st or the 15th day) that works best for you. As with all contributions, only the Financial Secretary knows how much you give via direct debit. We encourage this means of giving as it eases the burden on our counters and helps support regular giving. To sign up, click here and you can sign up on line. Online Giving can be set-up for Direct Debit Giving which is used to automatically transfer funds from your checking or savings account to the church’s bank account or Credit & Debit Card Giving which lets you make offerings automatically on a pre-determined schedule using a credit or debit card. What are apportionments and how is the amount set? Our apportionment is the financial support we give beyond our walls to the larger United Methodist Church. This money, combined with the money from other United Methodist churches, forms a global ministry, reaching into every continent and touching people in every nation with the love of Christ. In addition, these offerings provide our local church with a network which supports and strengthens our ministry in Gilbert, AZ. Our apportionment is determined yearly by a formula which considers our ministry expenses and membership size. The formula is created to make apportionments equitable from church to church across our conference.